Home » Apps » So What’s the Big Deal about Sales Apps? So What’s the Big Deal about Sales Apps? Are you spending more time managing your business than looking for new leads or interacting with your customers? Is your growing mound of paperwork becoming a burden, decreasing rather than increasing your operation’s effectiveness? Do you have real-time access to complete customer information from wherever and whenever you need it? Do you find yourself bogged down tracking orders, pouring over spreadsheets, trying to generate sales forecasts, or resolving credit card issues? If you are spending more time on admin and less time on selling, you are not alone. In fact, according to a recent Proudfoot Consulting report on sales performance, salespeople spend a mere 11% of their time actually selling, while they think they spend twice that amount of time. Furthermore, problem-solving and administrative tasks combined consume up to 49% of a typical salesperson’s day, while travel accounts for 15%, prospecting 9%, and non-value added time 16%. The bottom line is that without sufficient time spent selling and building customer relationships, your bottom line is going to drop. Fortunately, web-based applications for sales reps can do wonders for your business. Designed specifically with salespeople in mind, web-based software applications are known to increase sales and productivity and to foster customer intimacy. Modern-day sales apps give you real-time access to critical business information (such as order histories and inventory updates) and serve as a central point for sales information and forecasting. Without being resource intense, the management and daily grind of your business will be almost fully automated, leaving your more time to spend with your customers. Furthermore, with detailed, high-confidence sales reports and forecasts at your fingertips, you’ll be able to respond to today’s fast-changing market conditions with effective business strategies. So how do you know which sales rep app to invest in and which web applications will best serve your company? According to the experts, the key lies in understanding your requirements and developing a user-friendly system which answers these needs. The good news is that with the slew of new-and-improved sales apps being introduced into the market every day, there are solutions for every type of business and organization imaginable. Better yet, many of today’s applications can be adapted for different access devices, including your smart phone, wireless personal digital assistant (PDA), or iPad. Apple’s iPad, touted as ‘the number one device no salesperson should be without,’ is the ideal platform and presentation tool for today’s sales software. Among the features which have catapulted the handheld iPad into the top 10 of every ‘favorite gadget’ list are its superb display screen, high downloading speed, high definition video, ability to synchronize content, and lightweight design. You can breathe new life into your sales techniques and significantly boost your revenue by learning all there is to know about digital sales tools in the 21st century. 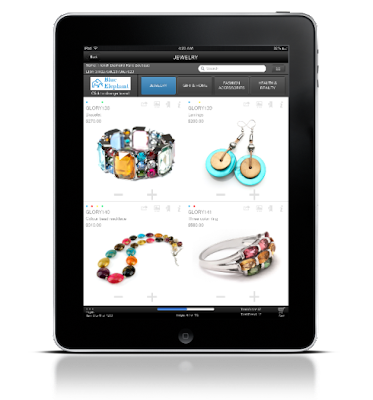 In addition to lead generation software, order management software, sales lead software, and customer relationship management software, popular picks include catalog software for iPad (allowing you to create cutting-edge sales presentation on demand), sales process and order tracking software, and more. From lead to close, discover which sales rep apps for iPad and the Web are best suited to optimize your business. Then keep your ears to the ground for the next ground-breaking reveal of the newest application to hit the market. Hi Anish! After reading your blog a couple days ago, we tried to use Wrnty sales rep, trial period version. We absolutely like it, although we are still customizing the tool according to our company’s use which is a tedious process. I came back to your blog to ask if there is an iphone application for company owners to monitor their sales and inventory? TIA. Thank you, Even I tried using Wrnty sales rep and I loved it. I will buy it soon.